This web site is a product of the Microbes in Action program, which serves to promote an understanding and appreciation of the importance of microorganisms in our world. 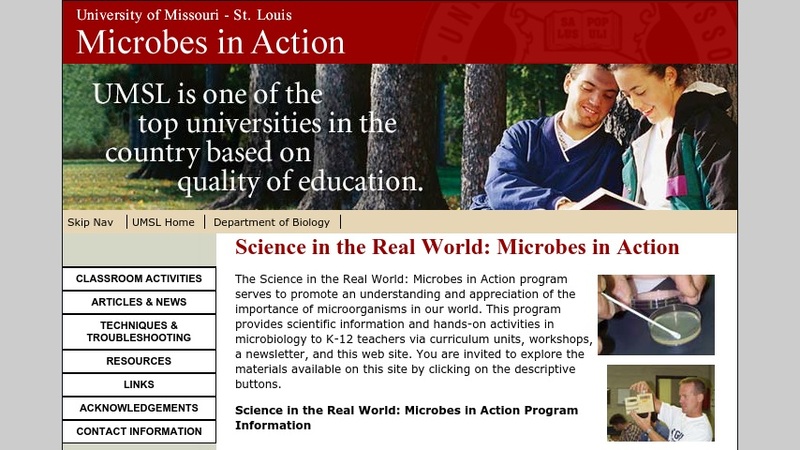 The program provides scientific information and hands-on activities in microbiology to K-12 teachers via curriculum units, workshops, a newsletter, and this web site. Materials available on this site include: classroom activities, articles and news; techniques and troubleshooting; resources for cultures, media, chemicals, supplies, and equipment; and links to helpful microbiology-related websites.